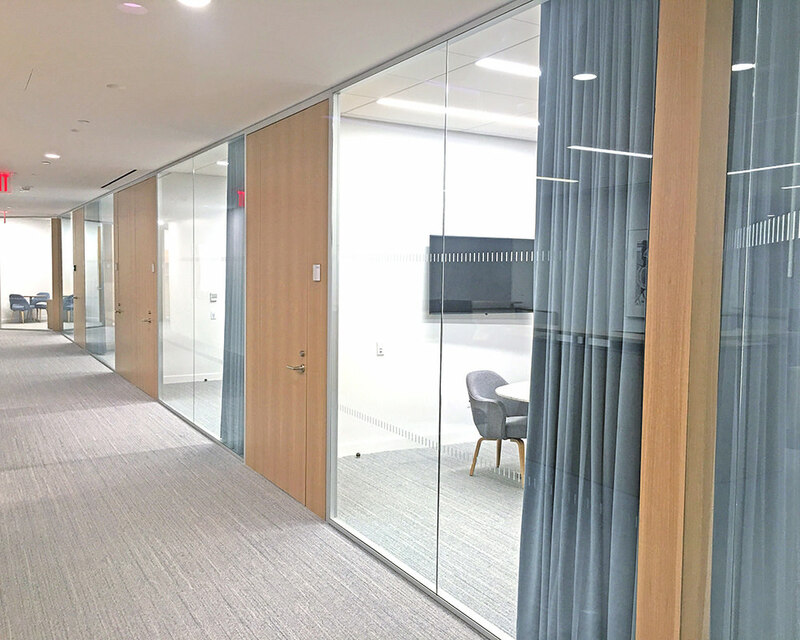 When this national financial services company planned its New York offices, it selected the most iconic address, and when it came time to choose the wall system, the architect selected Sky Walls. 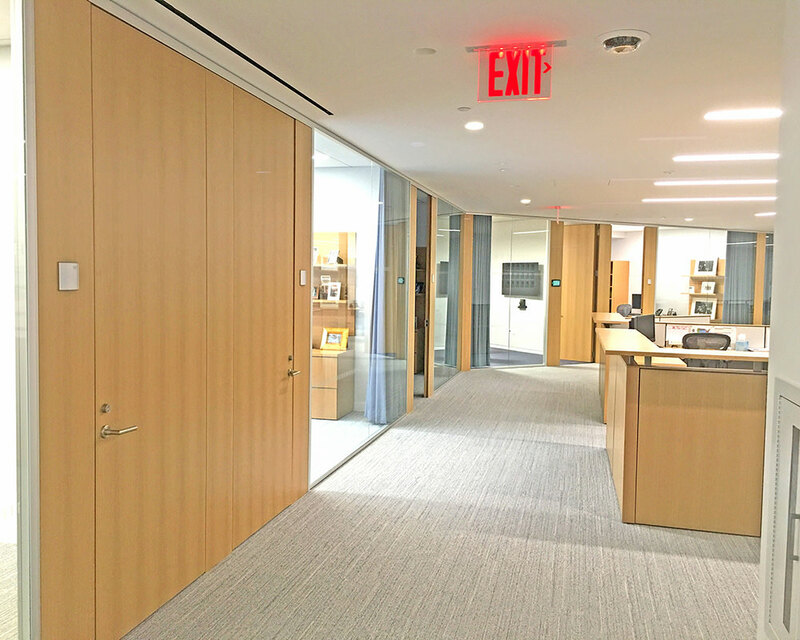 Our project team worked closely with both the architect and the contractor to develop every detail of the offices, which completely envelope the unique, octagonal floor plan. 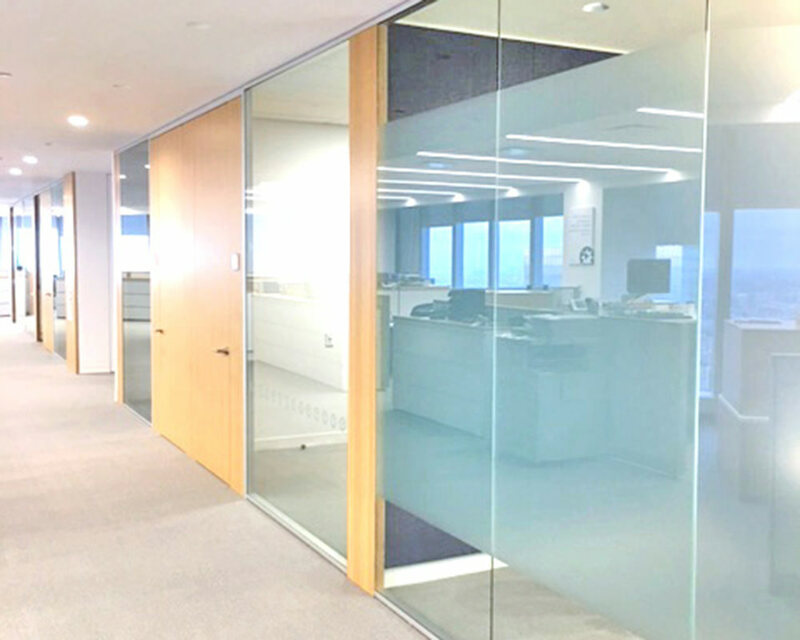 Our Stratus Series system was selected, incorporating both single and double glazed configurations throughout the space. 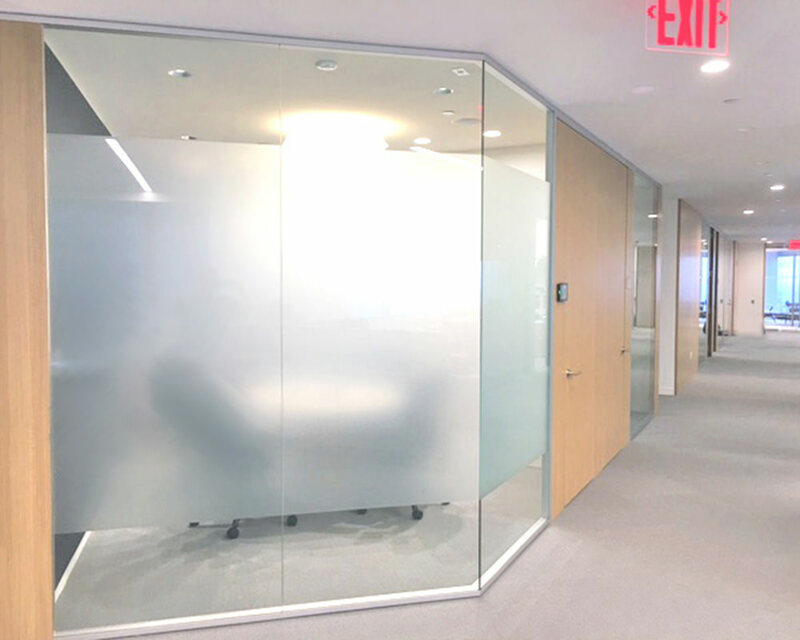 Double glazed Stratus provides higher acoustic attenuation where needed, yet appears uniform when married with its single glazed version. 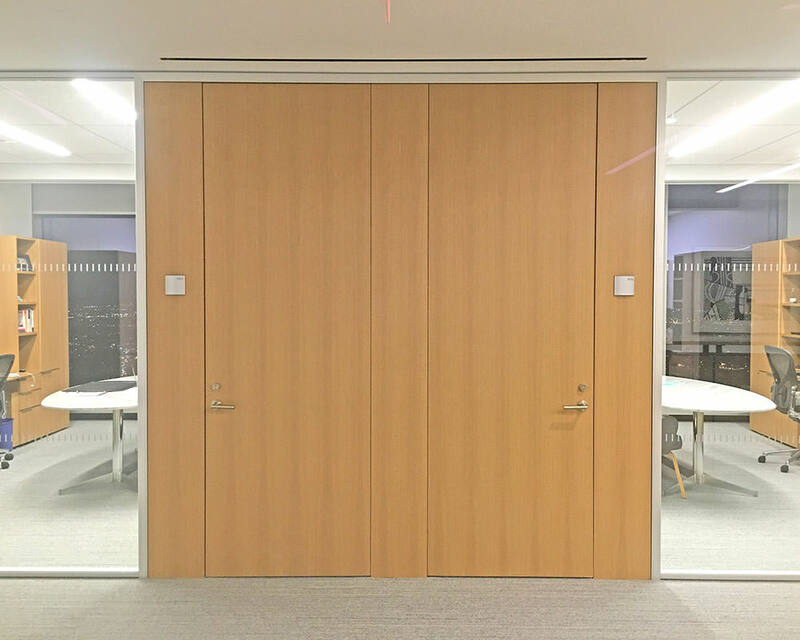 The integral millwork, also provided by Sky Walls, is designed without door frames, so the doors hinge and latch directly with their matching panels. 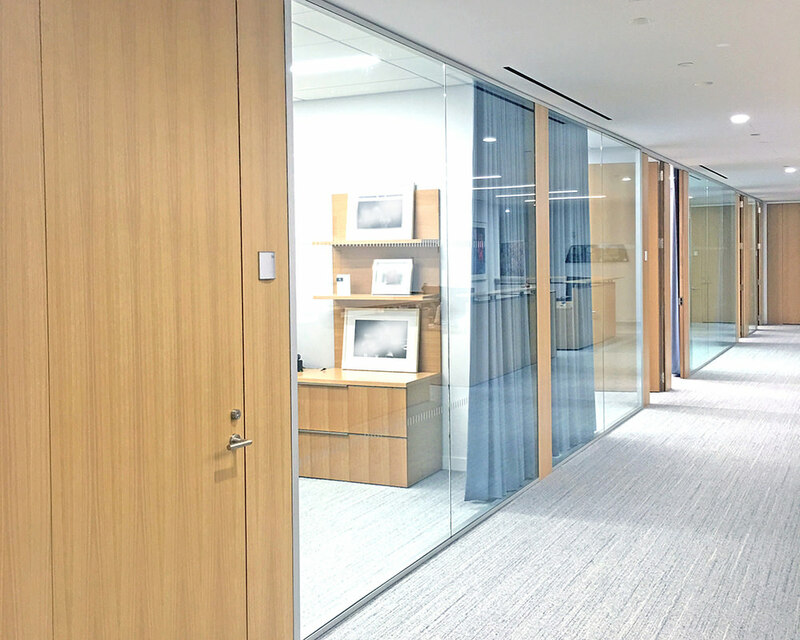 In some rooms, the millwork has a different veneer on the room side than the public side, so the architect was free to design the finishes of individual rooms differently. Custom finished hardware compliments the overall richness of the space. This unique, high-quality wall system was delivered to the jobsite 4 weeks from approvals!